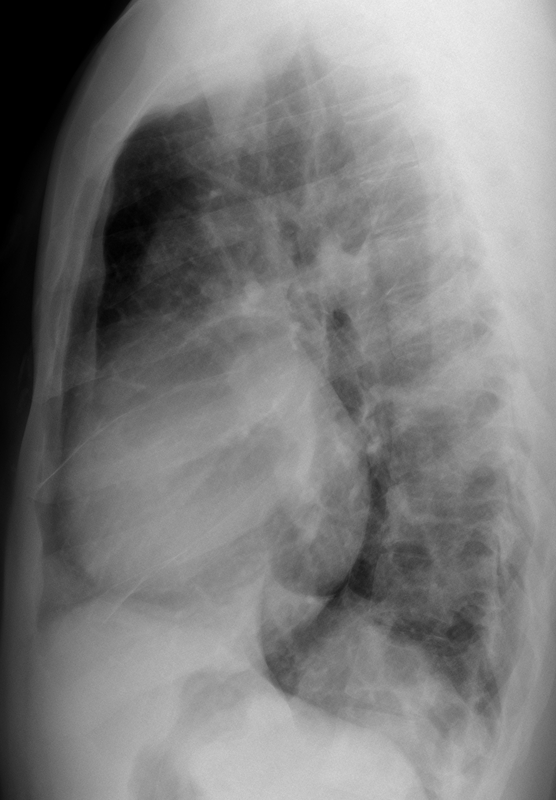 Cardiomegaly with pulmonary iedema. Airtic knuckle not appreciated. 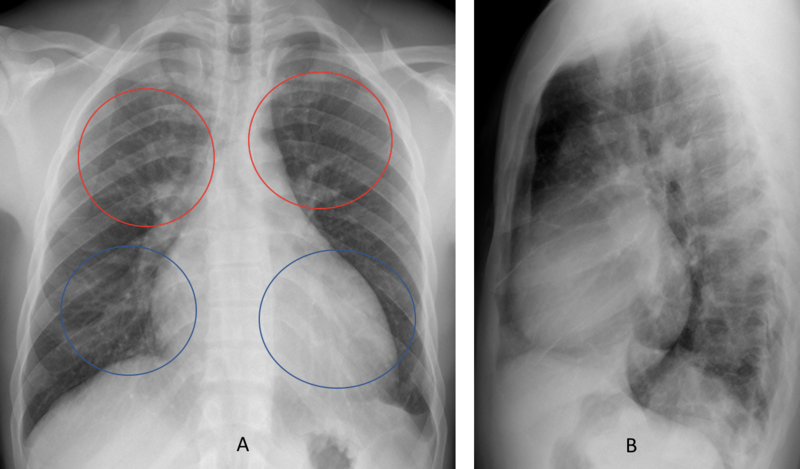 Increased cardio-thoracic index in a well-inspired x-ray (cardiomegaly). The tip of the heart is directed to the diaphragm due to biventricular dilatation. 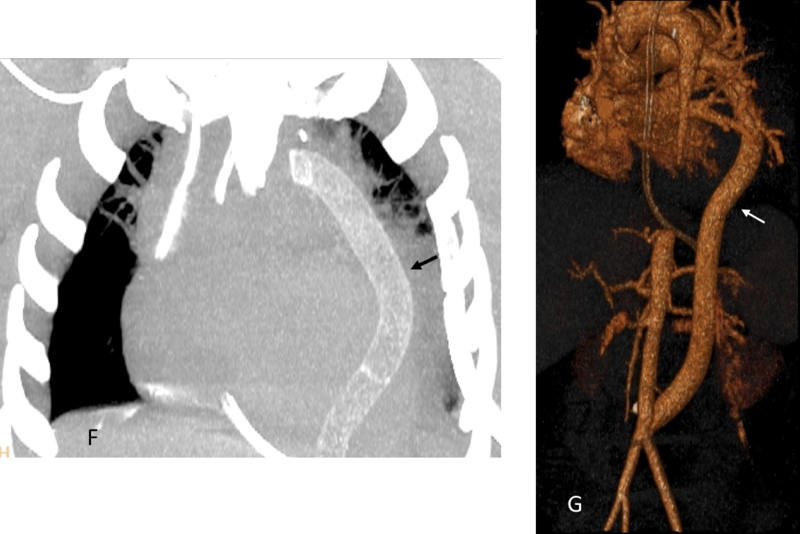 Signs of vascular redistribution with pulmonary vessels from upper fields more evident than inferiors. Left pleural effusion more evidente than right. I just put new clinical information: pulses were equal in both arms and weaker in the lower extremities. Obliteration left costo phrenic angle which associated with opacity in the posterior inferior aspect of the lateral chest view with triangular opacity seen. Narrow upper Mediastinum and hyperperfusion of the lungs, indicative of l/r shunt, possibly in context of transposition of great arteries. Rounding and lateral displacement of the left heart border on the PA view, and posterior displacement on the lateral view ( Hoffman-Rigler sign). Redistribution of the pulmonary vessels, no evidence of left atrial enlargement. Impression: left ventricular hypertrophy with grade 1 pulmonary edema. 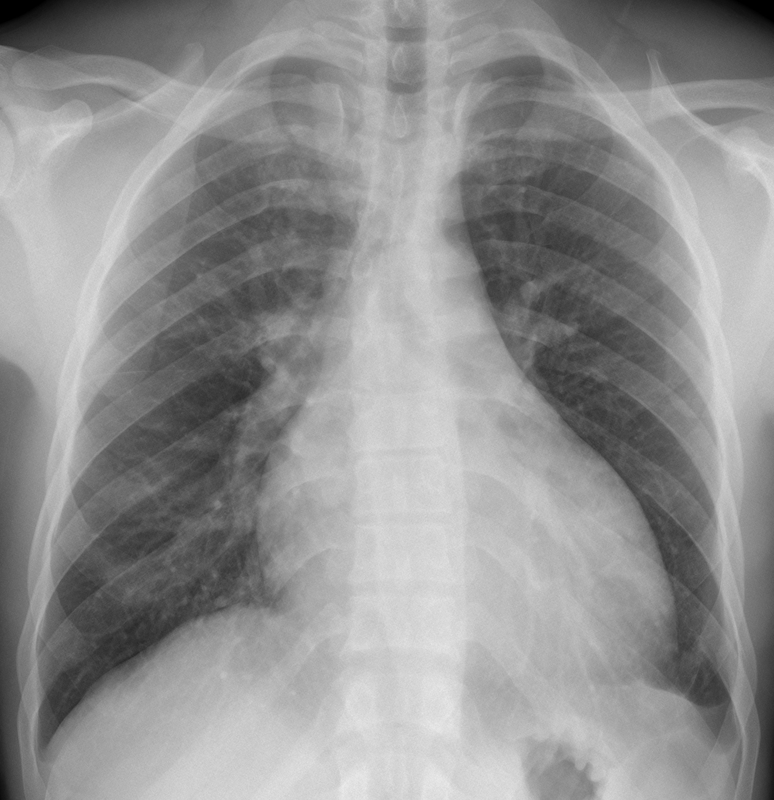 PA VIEW – Cardiomegaly, Left minimal pleural effusion. So far, your answers are correct: cardiomegaly and vascular redistribution indicative of mild left cardiac failure in a patient with hypertension. Do you have any questions about the cause of the hypertension? ….scompenso del piccolo circolo con ipertrofia ventricolare sx e scarsa evidenza del bottone aortico…..la causa può’ essere una stenosi valvolare aortica, congenita(es. valvola bicuspide) od acquisita…. I see rib notching in right costa 5. Could it be aortic coarctaion? Blood pressure different in left and right arm? Sorry! Of course, if it is coarctation the hallmark is high blood pressure in both arms and a low blood pressure in the legs, since the classical location is distal to the left subclavian artery. Don´t have information about any murmur. But the small aortic knob goes against coarctation. Oh, I’m late to the party! Enlargement of the heart, minimal pleural effusion. Small aortic knuckle, but no signs of chronic collateral enlargement (ribs seem fine). With clinical information I suspect some kind of arteritis (Takayasu?). 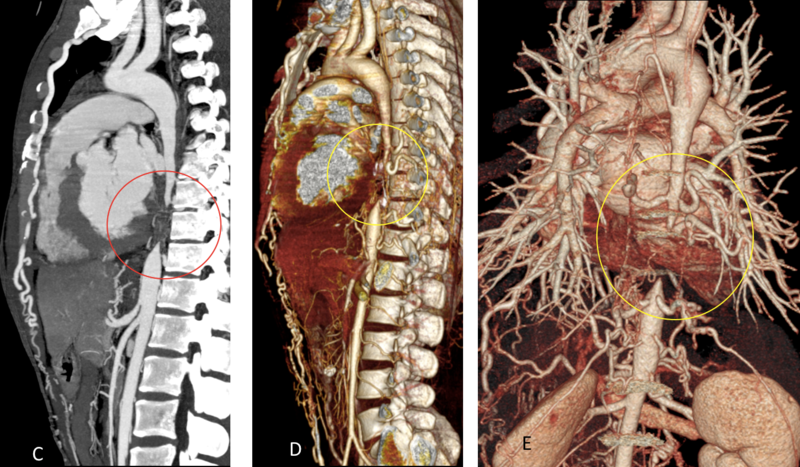 Contrast enhanced CT needed. A left to right shunt would give increased pulmonary vascularity. In this particular case what we see is redistribution. I believe that what you call the descending aorta is the left pulmonary artery. 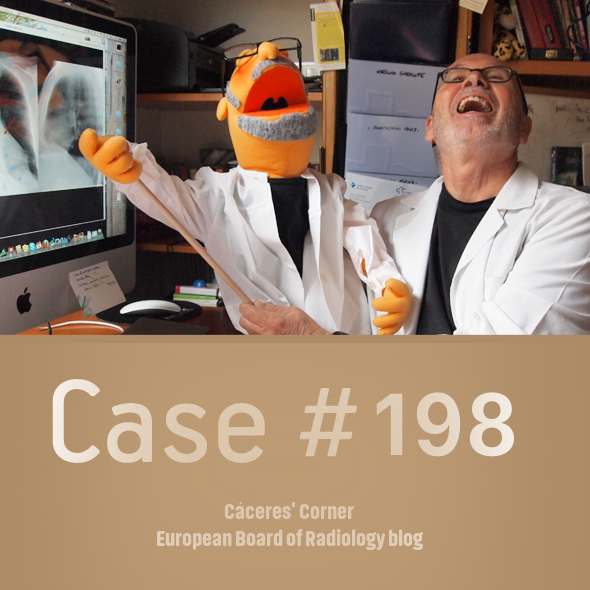 In a young person it is difficult to see the descending aorta in the lateral view.